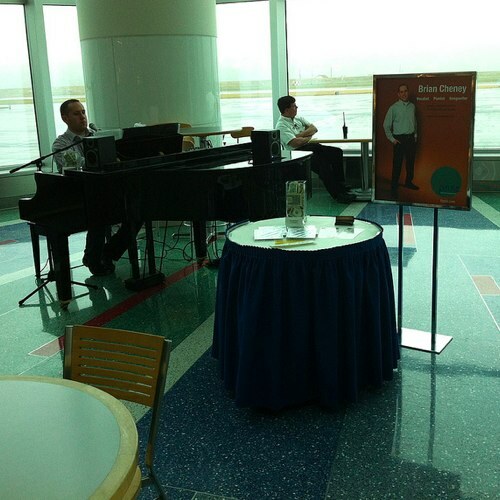 A 55 second recording of Brian Cheney singing Hallelujah by Rufus Wainwright in the Portland, Oregon, airport on October 12, 2012. Listen to more of Brian’s wonderful singing and book him for a wedding or other event on johnrossmusic.com/about. 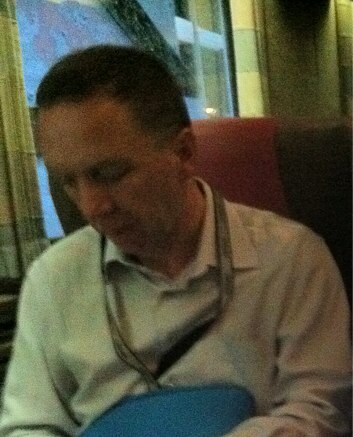 Visit Brian’s website and order his music on briancheney.com. 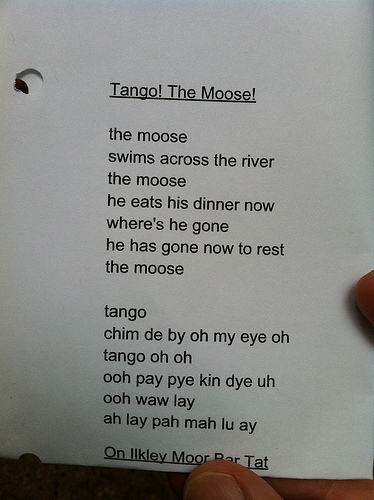 An audio recording of the vocally talented Rod Murray singing “The Moose” in two languages following UnPlug’d 2012 on the bus enroute to Toronto. Lyrics are available! 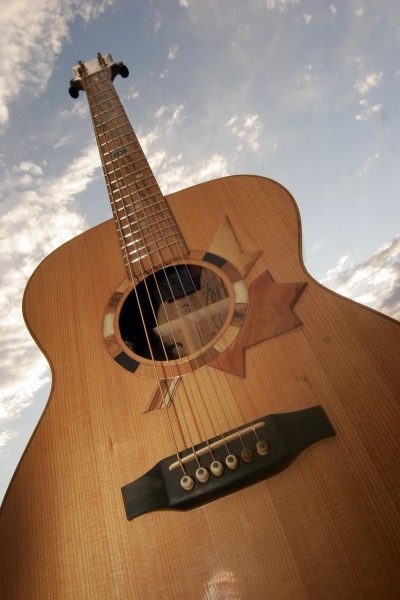 This is a recording of Brian Jackson playing the amazing Voyageur, the Six String Nation guitar made from pieces of Canadian heritage. Learn all about it on www.sixstringnation.com. This photo was taken by George Douklias at the Winnipeg Folk Festival in 2006 and shared by Jowi Taylor on the Unplug’d Ning. 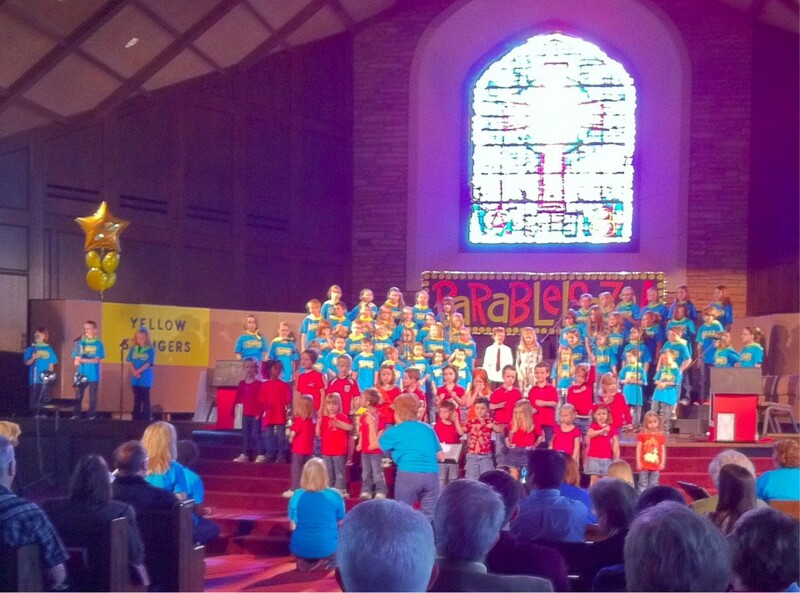 This is is an 2.5 minute clip from the song, “Treasures,” in the musical “ParaPalooza” at our church today. 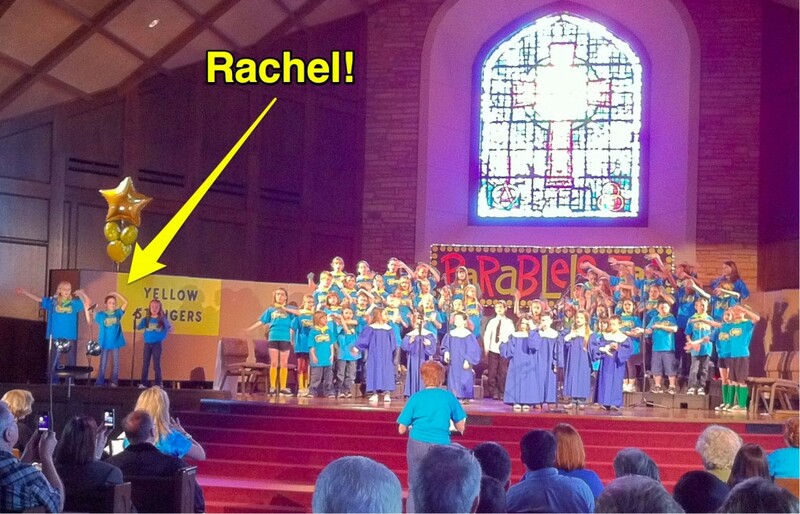 This is a two minute audio recording from the “ParaPalooza” musical at our church today, during the song, “Let It Shine.” Rachel had a solo in this song which runs from the 28 second mark of this recording to the 35 second mark. She did great! 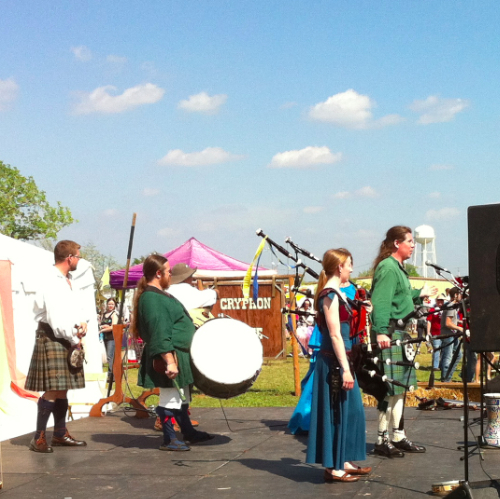 A recording of a bagpipe tune on one of the main stages at the Medieval Fair in Norman, Oklahoma, on March 31, 2012. 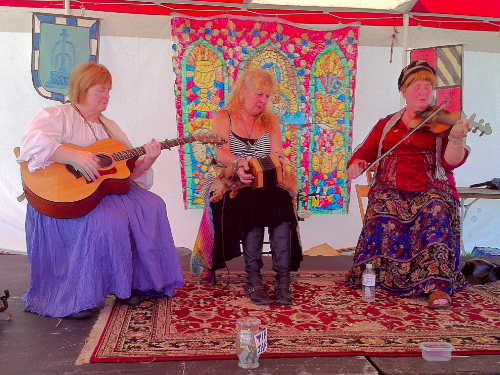 A recording of an instrumental tune in one of the tent stages at the Medieval Fair in Norman, Oklahoma, on March 31, 2012. 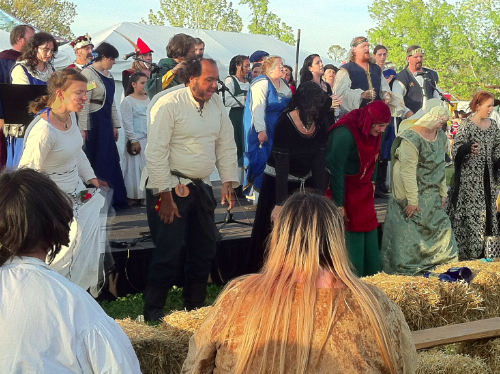 A recording of the closing song at the Medieval Fair main stage in Norman, Oklahoma, on March 31, 2012. I’m not sure what the title is, but part of the chorus is, “The Storms Do Blow.” I like the fact that they sang about “Yarmouth,” but I’m guessing they are referencing a European version rather than the Maine Yarmouth I know. 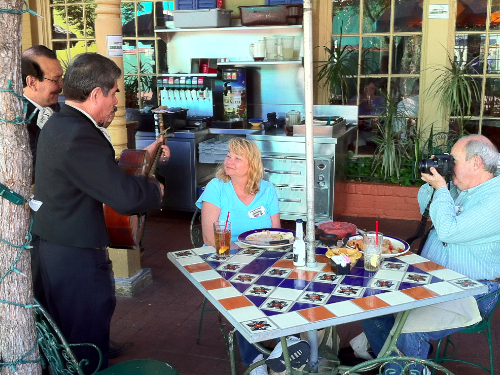 This is a 72 second Mariachi serenade at a restaurant in San Antonio, Texas, in Market Square, on March 21, 2012.